Josef Allen Hynek was a professional astronomer who served as Scientific Advisor to the USAF during their first official investigations into flying saucers. A fellow of the Yerkes Observatory in Williams Bay, Wisconsin, USA, Hynek received his doctorate in astrophysics from the University of Chicago in 1935. Between 1936 and 1941, Dr. Hynek was an instructor and assistant professor of physics and astronomy at Ohio State University. Between 1941 and 1946 he supervised technical reports in applied physics at John Hopkins University. He returned to Ohio State in 1946 to become a full professor in physics and astronomy. In 1948 Edward J. Ruppelt enlisted Hynek as Astronomical Consultant to Project Grudge, and in 1952 he became Scientific Advisor to Project Blue Book. Hynek's status as a scientific consultant to the USAF during their investigations into the UFO phenomenon spanned over 20 years. Hynek was skeptical on both sides of the UFO debate, but admitted that during his early involvement, debunking puzzling cases evoked an added satisfaction. His famous swamp gas hypothesis won cheers from skeptics and jeers from UFO believers. Eventually Dr. Hynek was compelled by the weight of his own investigations that the UFO phenomenon should be taken seriously. Upon retiring from teaching in 1973 he founded the Center For UFO Studies ( CUFOS ). Throughout his years as a USAF consultant, Dr. Hynek also remained active in the scientific community. For five years ending in 1960 he was associate director of the Smithsonian Institution’s Astrophysics Observatory in Cambridge, Massachusetts. He was also Chief Scientist for their NASA sponsored satellite tracking program. In 1960 he became the Chairman of the Astronomy Department at Northwestern University. While at Northwestern, he was also Director of the Lundheimer Astronomical Research Center and Director of the Dearborn Observatory at the Evanston campus until 1978. His specialty was the chemical composition of stellar atmospheres and his articles have appeared in numerous science journals, including Science Digest. When he wasn't working, he enjoyed spending time with his family and vacationed regularly in Canada. 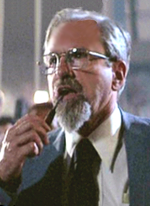 Not all ufologists are unanimous regarding the role that Dr. Hynek played during his 35 years among the ufology community. For example, in an article published in UFO Magazine, volume 17, number 4, Richard M. Dolan reports that ufologist Jacques Vallée discovered something called the "Pentacle Memorandum". The classified document dating to January of 1953 was found in Hynek's office and allegedly reveals the existence of a UFO study group separate from the Robertson Panel which requested that the Robertson Panel be delayed until this secret group had concluded their own investigation. Among other things Dolan also reports that Hynek "seemed to know much more than he usually let on about the subject." Given Dr. Hynek's position as an official USAF scientific consultant, this is certainly plausible. However no further information in this regard has come to light, and CUFOS has offered no comment on this topic. There is no doubt however, that Dr. Hynek contributed significantly to the field of ufology. His story is an undisputable example of a scientist with impeccable credentials and reputation, whose attitude towards UFOs was transformed by personal investigation from all out debunker to serious researcher. Although Hynek never publicly stated that he knew what UFOs are, he did believe that they represent a real phenomena and that understanding them could lead to a revolution in mankind's outlook on the universe. He remained of that view until his death from a brain tumor in 1983. His legacy to ufology includes the prestigious Center For UFO Studies ( CUFOS ) and numerous articles including two essential books, The UFO Experience and The Hynek UFO Report.